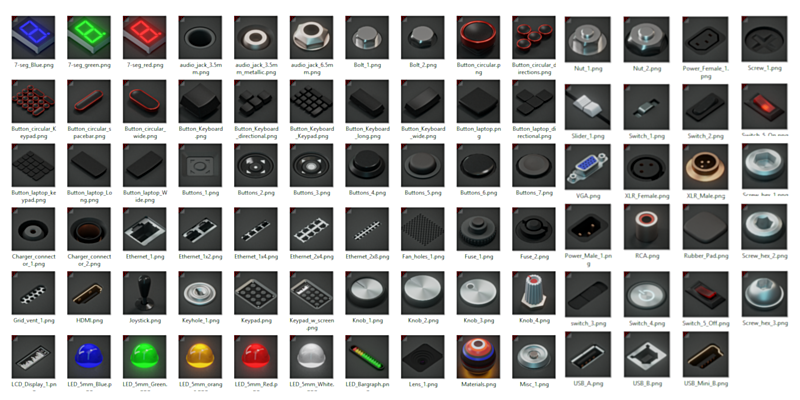 ABKIT is a collection of 80+ high quality inserts with proper materials and their boolean objects to be used with the "KIT OPS FREE" and "KIT OPS PRO" addons. 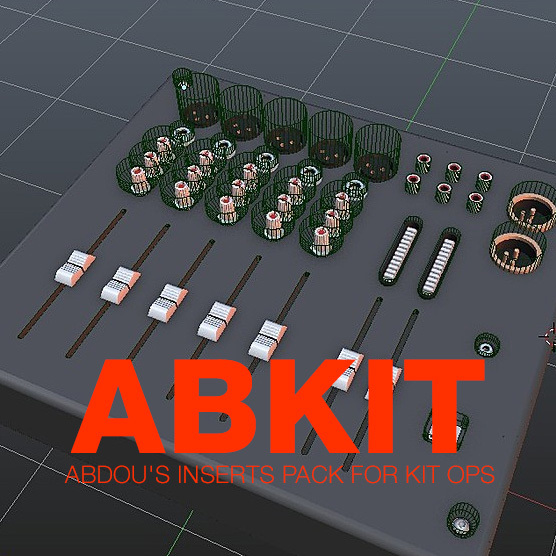 ABKIT is a collection of 80+ high quality inserts with proper materials and their boolean objects to be used with the "KIT OPS FREE" and "KIT OPS PRO" addons. They can also be used manually by appending the objects from the blend files. Screws, nuts and bolts : 9 inserts. 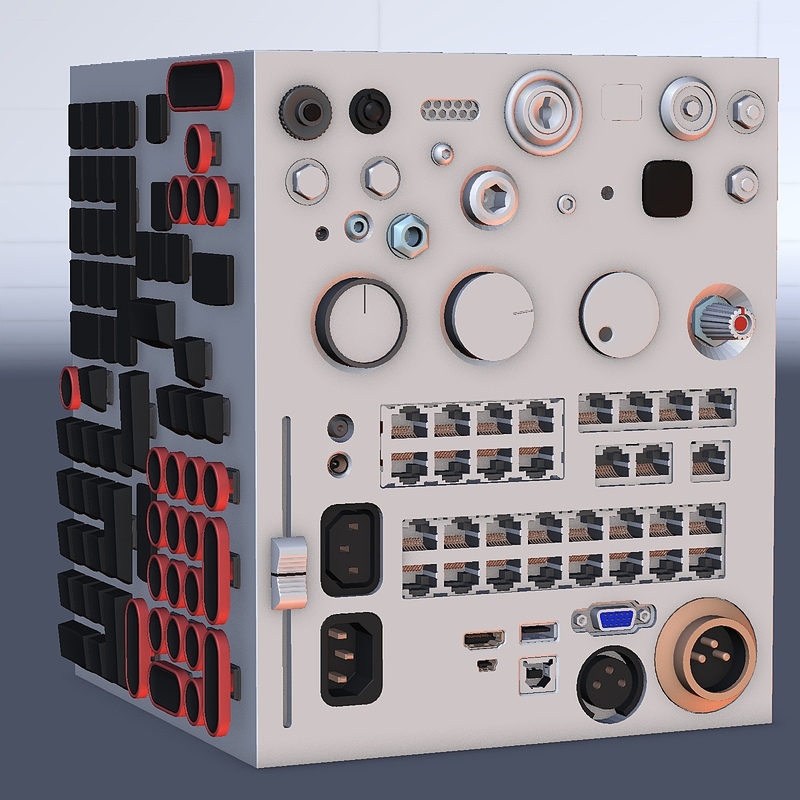 Easy to use, simply unzip it and add it to KIT OPS FREE/PRO and you're ready to go! Correct scale for all the models that require it (especially the connectors). Realistic materials using the physically accurate Principled BSDF shader. All the materials needed for the inserts are included. The inserts reuse the same materials, your scene will not get polluted by hundreds of different materials. The material names have the prefix "ABKIT" to them for better accessibility. It's a little investment that will save you a lot of time on your various projects and scenes! You will get future updates for Free! Even when the price eventually increases a little with major updates, you won't have to worry about it. The sooner you get it, the better! I built this with over time from my projects, it wasn't made in a rush just to make a product, but it's what I use and will use in my work a lot and quality comes first. I did not want to limit the artists vision by putting models that are hard to customize, I'm aiming to make something versatile and compatible with most of the artists' styles without imposing mine. You will be contributing to the Blender Development Fund, 10% of the revenue goes to help the development of your beloved software!